It may be the most intimate look any outsider has ever been offered at the U.S. Military Academy at West Point -- "Rolling Stone" writer David Lipsky was offered the opportunity to come to West Point, stay as long as he wanted, go anywhere, and talk to anyone. 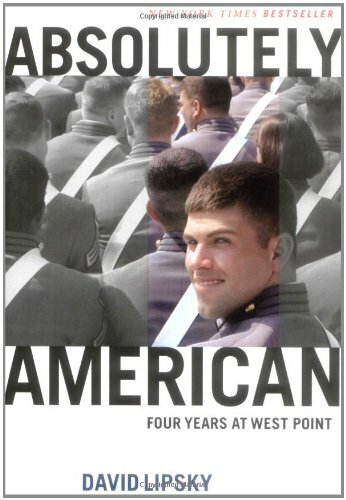 He ended up staying for four years, following a class of cadets through their entire West Point career. The result is this book.